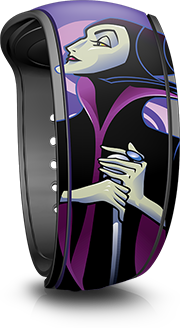 Four more MagicBand designs are moving over to the MagicBand 2 format, which will include the Disney Princesses, Maleficent, Rapunzel from Tangled, and Steamboat Willie (Mickey). 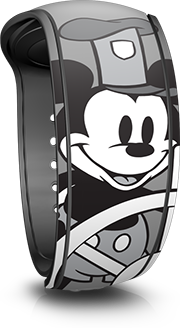 The Steamboat Willie design will actually be a completely redrawn one, and features him at the wheel of a boat. These will all be Open Edition bands. 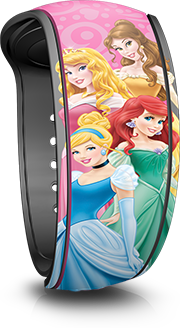 As the old stock of the original designs run out, these updated MagicBand 2’s will replace them, so it may be weeks to months before they appear for sale. Click here to see what the original bands looked like. 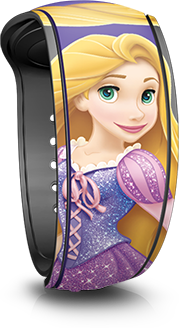 One Response to "New Steamboat Willie design, as well as older designs, being moved to MagicBand 2"
Tinkerbell and Signature Minnie Mouse are already available as MB2s in the Disneystore online.